Owning a garden, you'll come to find ''boredom'' is a non-existent word! Nearly every day some jobs can be done. The actual amount of work not only depends on the month of the year, or the season, but also on the all-important weather. What to do, how to do it and when? 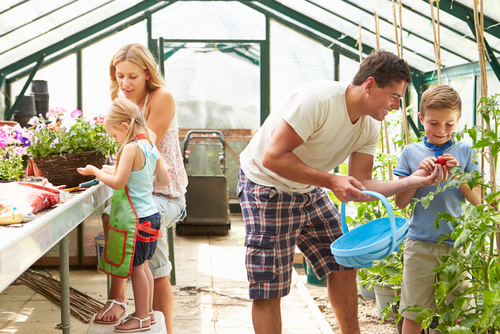 These are some important gardening jobs, usefully clustered per season. Since the first months of the year are truly winter months, we start with gardening jobs for winter. In this time of year deciduous trees rest, giving us gardeners an ideal opportunity to prune them. Most pome fruit trees (apples and pears), deciduous shrubs and espaliers benefit from winter pruning. Moreover, winter pruning stimulates growth in most trees and shrubs; apple and pear trees particularly will develop more flowers and fruit. But do prune on frost-free days only! January and February can be very cold indeed, so put frost-sensitive plants in a sheltered spot or cover them. Read here about what to do during cold weather. 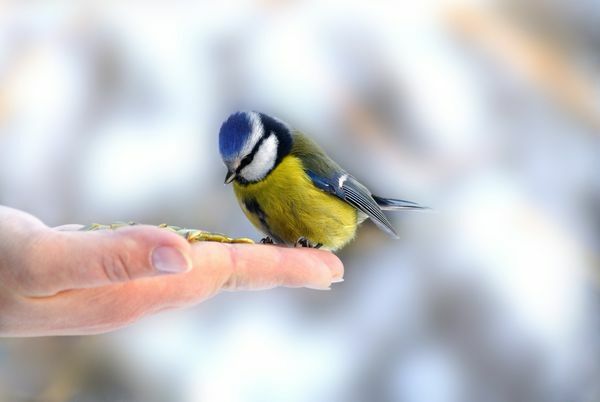 Help birds in winter and scatter birdseed throughout the garden. Dried flower heads, such as sunflower heads, provide bird-food as well. So leave these and cut them back or remove them no sooner than March or April. Every year many garden-lovers yearn for spring to come. Slowly but gradually the garden awakens; daffodils and other spring bulbs show their first colours and you can begin to pre-sow all sorts of vegetables and flowers. In spring lots of plants need pruning. Roses first of all, roughly at the middle of March, but refrain from pruning during frosty weather (which is no exception at all during that month!). After the so-called Ice Saints (11th - 15th of May) night frost is finally losing its grip and pre-sown plants can gradually be moved into the garden. Sometimes changeable weather conditions - hot spells alternated by coldandwet days - make gardening in spring a real challenge. One vital thing to remember is not to let (new) plants dry out. Tip: frequent mulching prevents the soil from drying out. During this time of year flowers are at their most spectacular, in the vegetable plot harvesting is in full flow and the cutting garden keeps on giving too, so that summery bouquets let you enjoy your garden even indoors! Now remove dried flowers from perennials - like Alchemilla and catnip - to promote a second flowering. Keep hedges in shape by extra trimming. Summer weather may cause prolonged dry spells, so do check our tips for drought in your garden. Prepare your plants as best you can for tropically warm days. Do you happen to grow plants in a greenhouse? Ventilating the greenhouse will improve the climate in there drastically. When discolouring leaves slowly but gradually cover your whole garden… you'll realize autumn has arrived. Remove autumn leaves from your lawn and garden paths to prevent the lawn from suffocation, and prevent yourself from slipping on wet leaves, on paths and the terrace. The still relatively warm soil is perfect for planting and transplanting. Rainy and wet spells occurring now help plants to form new roots. Both perennials, hedges and shrubs can be (trans)planted at this time of year. Don't forget to plant all sorts of lovely spring bulbs which will bring colour into your garden very early on in the season, after winter has gone. And once again your secateurs come in handy for all sorts of pruning jobs in autumn, as blackberries, raspberries and currant bushes need to be cut quite drastically. 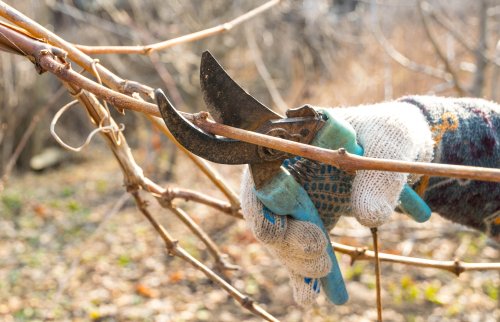 Start pruning kiwis and vines the moment they drop their leaves, at the end of autumn or beginning of winter. As their sap rises early, it's crucial to prune them before the end of December at the very latest.